Belmopan. June 8, 2015. 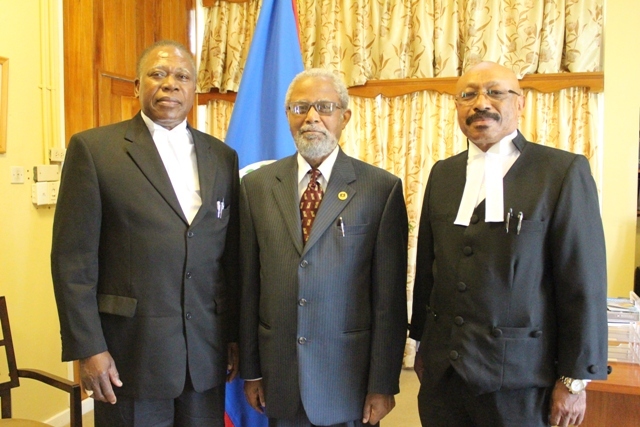 Two new Justices of Appeal were sworn-in today by the Governor General, His Excellency Sir Colville Young, at the Belize House in Belmopan. They are Justice Murrio Ducille and Justice Franz Parke. 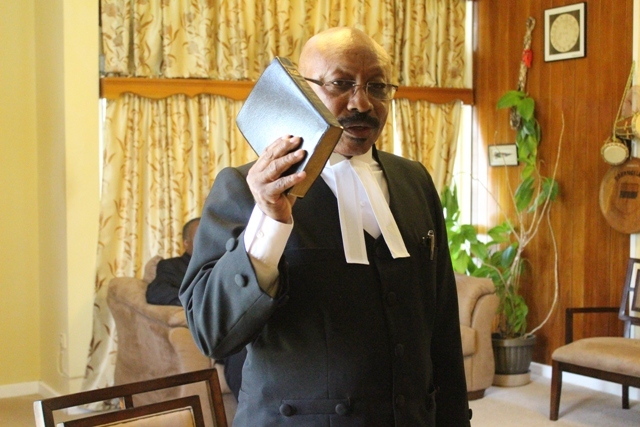 Justice Murrio Ducille is an Attorney-at-Law and has been in practice since 1975 when he was admitted to the Jamaica Bar. He was also admitted to bar in the Bahamas and Dominica, 1984 and 1993, respectively. He is a member of the bar associations of all three countries. In Jamaica, Justice Ducille served as Clerk of the Court with responsibility for criminal prosecution for the Parish of Portland. He additionally served as State Prosecutor in the Office of the Director of Public Prosecutions where he was in charge of criminal prosecution and represented the state in the Court of Appeal. He also prepared and presented extradition cases between the United States and Jamaica. 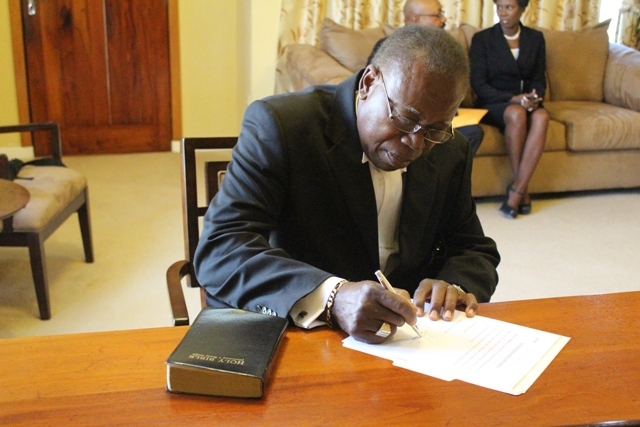 Between 1984 and 1997, Justice Ducille acted as Solicitor General, served as Chief Prosecutor and Attorney General in Bahamas; Director of Public Prosecutions in Dominica and Chief Magistrate in Antigua and Barbuda. In 1997, he began his private practice. Justice Ducille holds a Bachelor of Laws from the University of West Indies, a Certificate in Legal Education from Norman Manley Law School; and a United Nations Certificate in International Law from the Hague Academy of International Law in Holland. Justice Franz Parke is also an Attorney-at-Law and was been admitted to practice law in both Jamaica and the United States. Justice Parke served as Crown Prosecutor in Jamaica from 1975 to 1980 in the Office of the Director of Public Prosecution. In 1990, Justice Parke began work in Florida as an Assistant State Attorney in the Dade County State Attorney’s Office, where he remained until 2001, supervising division prosecutors responsible for prosecution of third degree felonies through life felonies. He also served as a prosecutor for homicides. Then in 2002, he continued his private practice defending federal and state criminal cases in the United States and additionally, handling family and civil litigation cases; and in 2008, he began work as an Assistant Regional Counsel in Criminal Defense in Dade County, Florida. 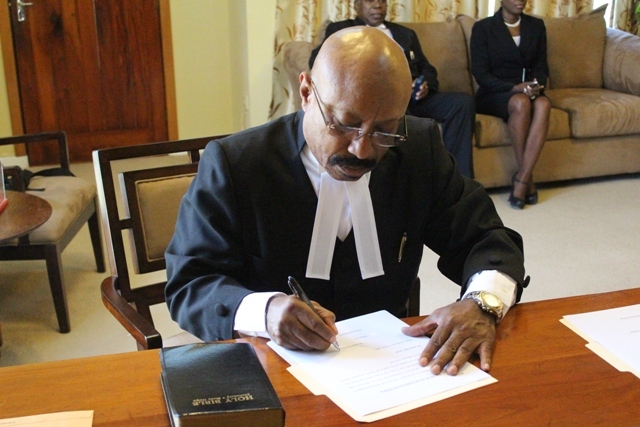 Justice Parke holds a Bachelor of Science Degree in Accounting and a Bachelor of Laws Degree from the University of West Indies. He also holds a Certificate of Legal Education from the Norman Manley Law School and a Juris Doctorate from Nova University Center for the Study of Law.